These generally move before a country’s economy does, as such they are used by traders to take short term positions on the relative health of a country’s economy. Stock market return figures are particularly useful leading indicators as they move in just this way, tending to rise or fall before the relevant country’s economy registers the change. Other useful leading indicators to keep an eye on are the results of consumer expectation surveys, the number of building permit applications currently in the works, and the money supply of a country or region (i.e. the aggregated monetary assets at a given time). Lagging indicators, as the name suggests, usually report changes that have already been felt by an economy, such as any reports that reflect the accumulated data of past events. An interesting incongruity in fundamental analysis is that many of the indicators traders focus on and give weight to are actually lagging indicators. Though it may seem somewhat counter-intuitive that lagging indicators could exert such tangible pull on markets, nevertheless they do. This is because of their qualitative effects, much of the trading activity that is conducted on a day to day basis boils down to trader psychology. Market sentiment can change the fortunes of a currency as much as, and some would even argue more than, the numbers on a balance sheet. Interest rate figures and trade balance statistics are both important lagging indicators to keep abreast of. Coincident indicators move at the same time as economies do, thus revealing a great deal about the current economic state of play. 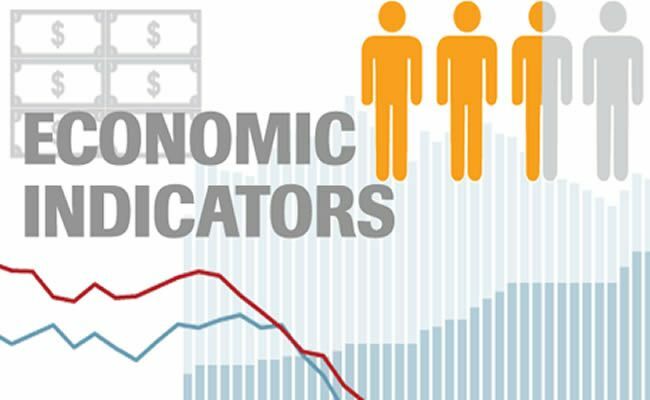 Employment, real earnings and average weekly hours worked in are examples of coincident indicators and should be closely monitored by traders wishing to gauge the health of an economy, and how its currency is being valued. All binary traders should use an economic calendar on a daily basis. There are many free ones available online and most of these will allow you to set search parameters so as to only return events that are of interest to a specific country or region, as well as filtering important data releases from ones with less pronounced effects. Just as beginner binary traders will tend to start trading one or two preferred assets, they will also begin by using an economic calendar to look for high impact data releases relevant to their assets of choice. In this way they get used to trading on the occasion of these important announcements and begin to observe the ways in which they work to affect the markets. The following is an introduction to some of the most important data releases that many of our traders look out for when first using an economic calendar. It is important to keep in mind that whenever a ‘Flash’ or ‘Preliminary’ report is available it is of more importance than the ‘Revised’ or ‘Final’ figures that follow. Even though Flash reports are not definitive, they have the greatest influence over market sentiment and provide traders with some indication as to the more comprehensive Final version of the report in question. Whenever the heads of any of the central banks speak publically the markets sit up and take note, hanging on their every word. Generally these addresses are more tradable than even the economic data releases that often precede them. This is because whenever a central banker speaks traders all across the world are listening intently to the tone of the speech, trying to pick up on clues as to that banker’s take on the economic health of the country or region in question. With sentiment being such a colossal market mover these addresses are also closely monitored for any indication of upcoming changes in fiscal policy. NFP is ordinarily released on the first Friday of every month and is without a doubt the single most tradable data release on the economic calendar. This is due to USD being either the base or quote in all major currency pairs. NFP tracks how many new jobs have been created in all but the farming industry across the US. A positive NFP figure, one that comes in higher than forecast, will cause bullish price action on the dollar. A negative NFP will almost always lead to bearish activity. Aside from the price movement immediately following the announcement the entire day’s trading can be very volatile due to traders speculating on the results. This volatility is perfect for binary traders who can really maximise their profits on this particular trading day if they are on the right side of the trends. Gross domestic product refers to the aggregated value of all goods and services produced by a country or economic region. The figures, which are normally released quarterly as well as annually, inform traders as to whether an economy is expanding or contracting. A GDP that is lower than that of the previous release indicates an economy that is shrinking, a larger GDP than previously reported indicates a growing economy. In the case of the EU, European GDP tends to not generate as much of a market impact due to France and Germany releasing their own GDP figures in advance. This should be borne in mind for all indicators that have a national followed by a pan-European report. Industrial production figures are also important to traders because industry accounts for a quarter of all the economies that feature in the major currency pairs. These figures measure the change in the total value of industrial production for a country or economic region. This includes factories, mines and utility companies. Healthy industrial output touches many other aspects of an economy, including employment, consumer spending and currency strength. When industrial production is higher than forecast traders can expect a rise in the currency in question, when lower they can expect a fall. PMI is a monthly report that reveals the economic outlook of purchasing managers across a variety of sectors including manufacturing, services and construction. The figures are derived by surveying a cross-section of influential purchasing managers, the result is a figure between 0 and 100, if below 50 then the outlook is negative, it indicates contraction in the sectors being surveyed and has detrimental effects for the currency in question. If above 50 then the outlook is optimistic, it indicates a growth in the sector, a healthy economy and a strengthening of that country or region’s currency. PPI measures the monthly change in the prices of goods and services sold by producers. It is an important economic report as higher prices for both goods and services indicate economic inflation. This is because higher prices at the supply end of the chain are passed on to consumers. The impact of this report is increased when PPI figures are released in advance of Consumer Price Index figures as both reports are highly correlated. Consumer prices are important to traders for a couple of reasons. Firstly they correlate with inflation, secondly in developed nations urban consumers account for the overwhelming majority of economic activity. CPI reports measure the monthly change in the prices of goods and services purchased by consumers. There are two reports, CPI and Core CPI, with the Core CPI being of more interest to traders. This is because core CPI excludes food and energy prices which are far more volatile and can skew the overall reading. This report tracks the change in the overall value of orders placed with durable goods manufacturers on a month by month basis. Durable goods are items such as household appliances and cars that have a shelf life of at least three years. Durable goods orders have a significant effect on the American economy as they directly relate to an increase in manufacturing activity. A healthy report (i.e one whose figures come in better than expected) is good for USD. As in the case of CPI, the Core Durable Goods report is the one that traders pay the closest attention to. This is because it excludes data relating to the much more volatile sales of transportation items such as cars and aircraft. This monthly report is another economic indicator that is closely monitored by traders. The approval of a building permit is one of the first steps that have to be taken before starting a new building. As such this report is a very reliable leading indicator of forthcoming construction projects. If the data comes in positive in relation to forecasts then the currency gets stronger (either CAD or USD depending on the report), if it comes in negative then traders can expect a drop in currency value. Traders also look for significant monthly changes in building permit numbers because of how closely the correlate with interest rates. A big drop in the number of permits may indicate a peak in interest rates whereas a large increase points to interest rates having reached a low. With sales of existing homes (rather than newly built ones) accounting for the overwhelming majority of sales in the U.S, this is by far the more important property sales report. Released monthly (albeit in an annualised format) it describes the month on month change in the number of existing homes sold in the US. Home sales figures touch many other areas of the economy, so Home Sales figures are closely monitored by traders. Positive figures are good for USD, negative figures have the opposite effect. Retail Sales reports are important to traders because they provide an invaluable gauge of a county or regions overall economic health. This is due to consumer spending accounting for the vast majority of a country or regions economic activity. Positive retail sales touch many other aspects of a county’s economy, they give valuable insights into consumer confidence and are also closely correlated with employment health in the retail sector. If the figures come in better than expected they will inevitably result in a strengthening of the currency in question. Usually expressed in terms of millions of the unit of currency in question, and also by the yearly percentage of change, trade balance statistics are derived by comparing the value of a nation’s imports and exports over a given period of time. If the figure is negative then more goods have been imported than exported, this is referred to as a trade deficit. If the figure is positive then more goods have been exported than imported, which is known as a trade surplus. Trade balance reports are extremely important events as they are central to a nation or region’s balance of payments. They are also particularly useful to currency traders as they provide valuable insights into the strength of a currency.